This year's women's road race for the Italian national championship is being held at a completely different location than the men's road race. 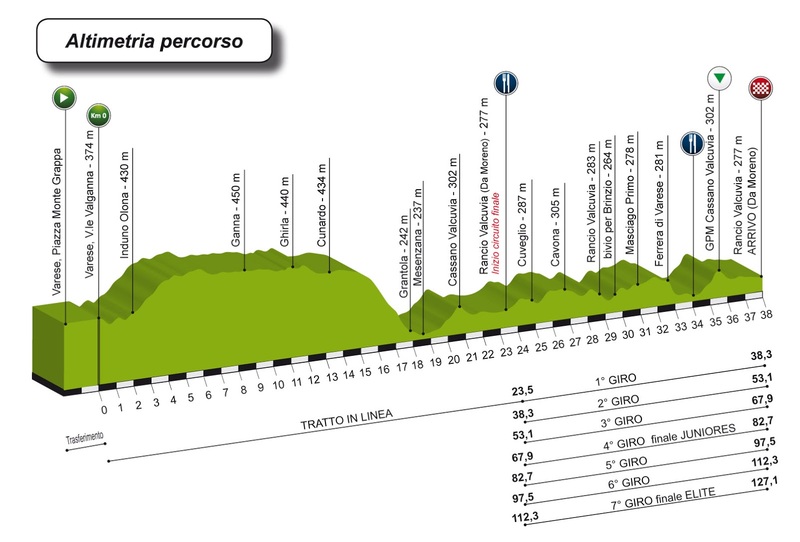 The race, on Sunday, June 23rd, will begin in Varese at 1400 and finish in Rancio Valcuvia at about 1715. The route will be 127.1 km; 23.5m km followed by a circuit of 14.8 km that will be repeated seven times. 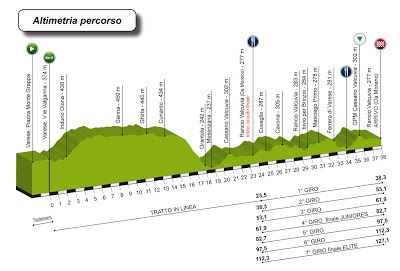 The circuit course is fairly technical, and "mangia e bevi" (up and down), in which the climb of Cassano Valcuvia might make the selection. I think we should consider having men and women's races together.